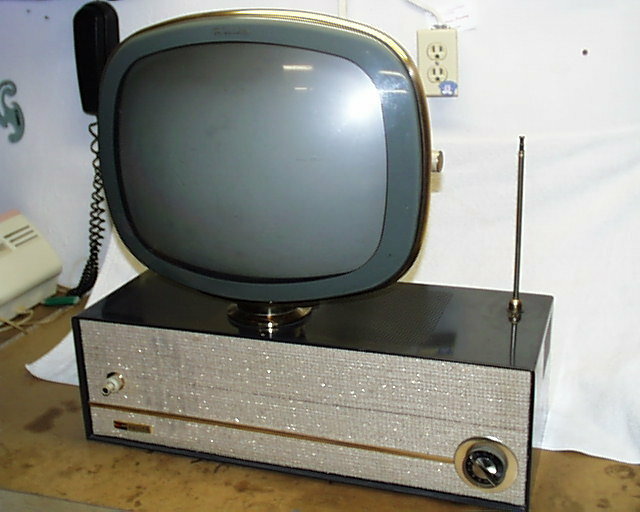 RCA SELLS 90,000 COLOR TV SETS -- Model CT-9. In 1960, after spending more than $130 Million in research and advertising, color television finally records its first profit for RCA. From a production standpoint, the one million units per year barrier is not broken until 1964.